Southwestern Crispy Tenders Salad with Chipotle Dressing. 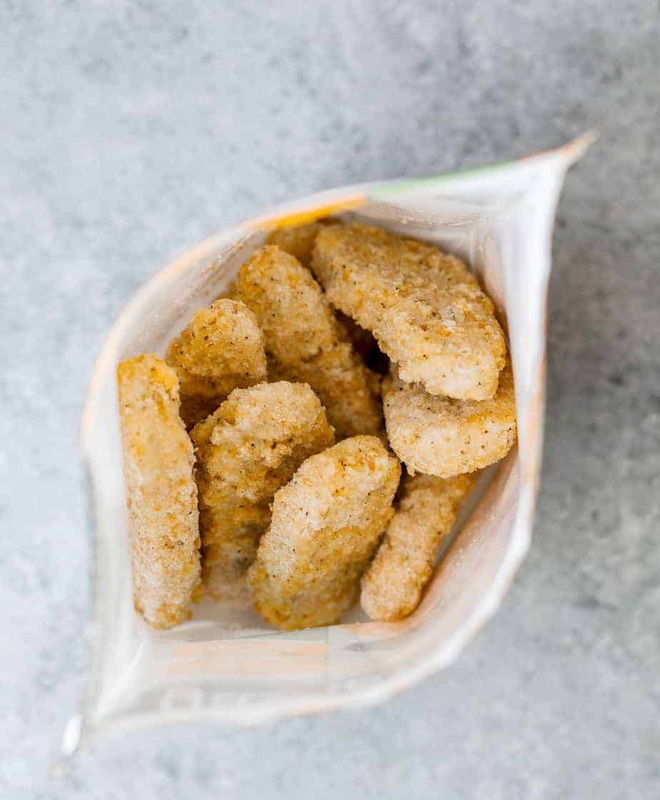 Plant-based protein crispy tenders, served with homemade sweet, spicy and tangy Chipotle salad dressing. The ultimate meatless salad recipe for lunch or as a side dish, perfect for Vegan. This summer break I have been busy spending time with my kids and hosting my parents. As mentioned in some other posts, we trekked out on a road trip to Las Vegas, Bryce, Zion National Park, the Grand Canyon and Palm Springs. I barely had enough time to update new articles or recipes on my blog because I spent most of my time on the road and in the parks. While on the trip, our family bought foods mostly from local restaurants. We did find some good spots to eat here and there, but much of it was unhealthy and I felt quite bulky by the end of the trip. Now that I’m back at home, I am trying to adjust back to my normal schedule and diet. It hasn’t been easy as my kids just started back at school and my folks are still staying with us. As many of you can relate, even though I’m working hard and raising the kids, it’s still more on me than anyone else to put my family on the right path. I’m always looking to find good options for tasty choices, especially for people like me who are often in a time crunch. A great one that you should be sure to try are Gardein products, which are found in the frozen aisle at Kroger stores. Gardein offers a wide variety of great tasting plant-based meal solutions. 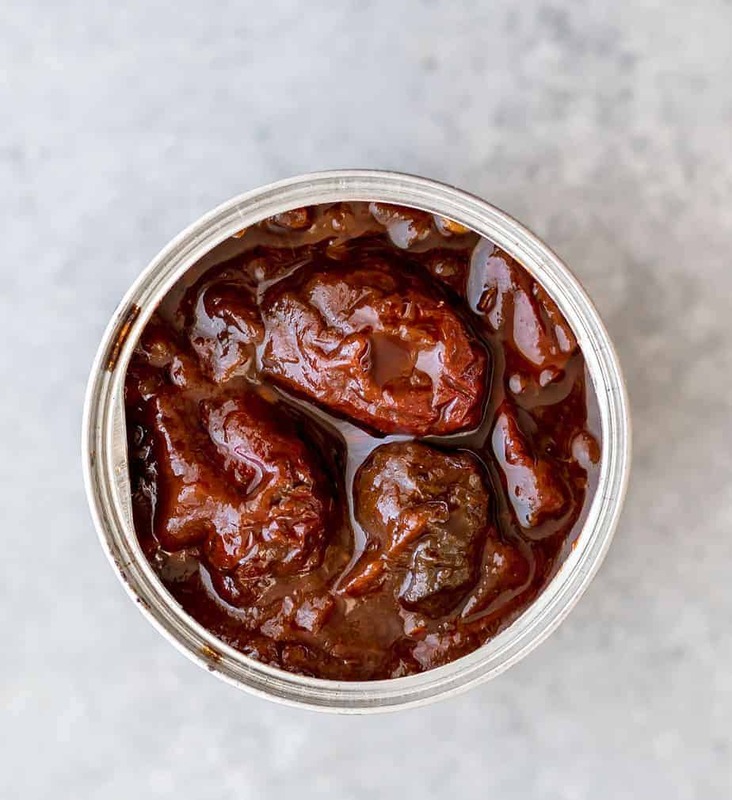 They’re perfect for my busy life, I can cook easily and prepare in minutes, easily replacing meat in any meal whether breakfast, lunch or dinner. After eating heavier foods on our trip, I was really craving a salad but wanted to pep it up with some protein and found that the Gardein products make for a perfect topper for a salad. For me, the biggest difference about Gardein is their better taste. I added Gardein products to an already tasty and nutrition-packed Southwestern Crispy Tenders Salad with Chipotle Dressing and it took the taste and consistency to a whole new level. Below is the recipe including a homemade salad dressing. My friends and family said this is one of my best salad creations, with lettuce, black beans, mango, tomato, corn, cilantro, red onion, Gardein Crispy Tenders, and served with mild spicy and tangy Chipotle Salad dressing. All of the flavors jibe so well in this one, and between the tenders and the dressing, it is a memorable one. 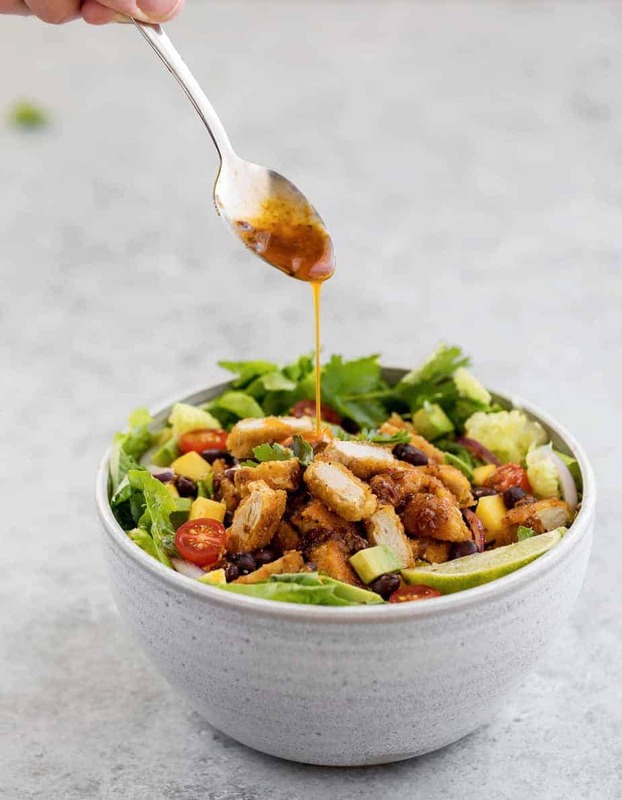 My everyday ideal salad is meatless but still packed with plant-based proteins and ingredients, like the one I am showing today: Southwestern Crispy Tenders Salad with Chipotle Dressing. All Gardein products offer complete plant-based proteins, 100% vegan certified, 100% Kosher. They also have no cholesterol, no trans fats, low saturated fats, and are made from non-GMO soy and wheat, ancient grains & veggies. It’s an awesome low cholesterol option where you get the taste and texture of meat whether you’re cooking on the stovetop, microwave or oven. They can be eaten on their own or used as a topper on a favorite dish as I did here today. If you want to try out your own recipe using Gardein products, you can click here for a coupon valid at Kroger website and banner stores! Gardein is guaranteeing you’ll love it or get your money back. 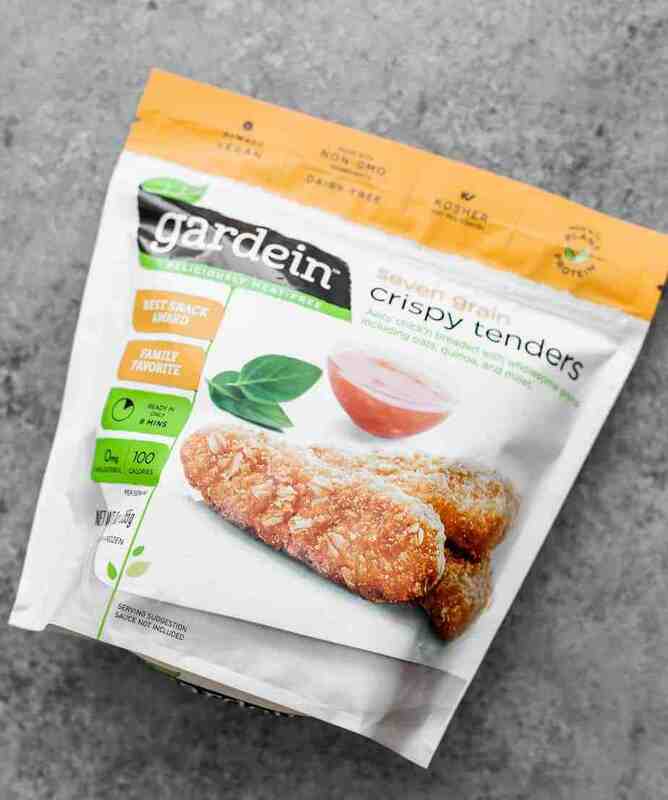 Be sure to check out the other Gardein products including Meatless Meatballs, Fishlesh Filets, and Sweet and Sour Porkless Bites. Visit Gardein.com for details! We strayed from our healthy choices as far as our diets are concerned on our trip, but at least we were getting exercise each day and almost zero screen time. Coming back to a delicious salad hit the spot and we’re happy to be back on-track getting tons of veggies in meals that are just as tasty, if-not tastier, than those heavy restaurant meals from our trip. In a food processor, mix all the salad dressing ingredients and pulse until well blended. 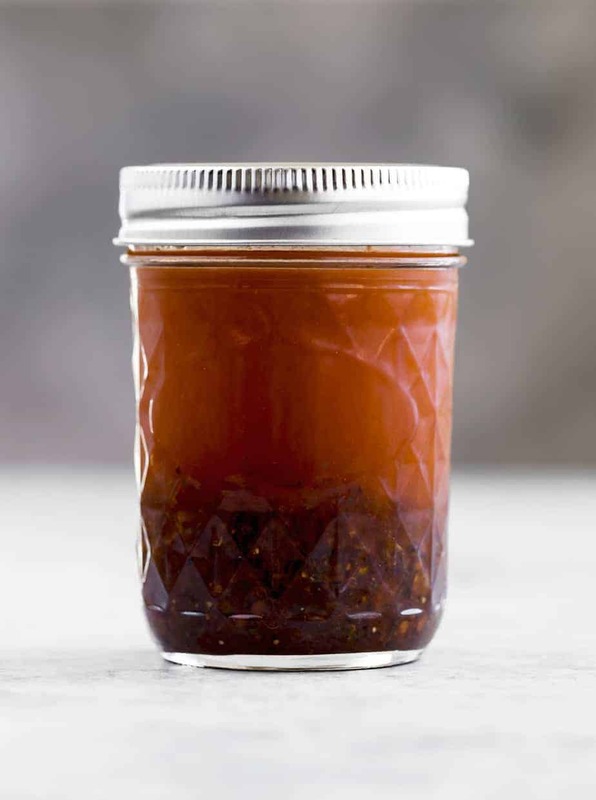 Put the salad dressing in an air-tight container and keep it in the refrigerator until it’s ready to use. 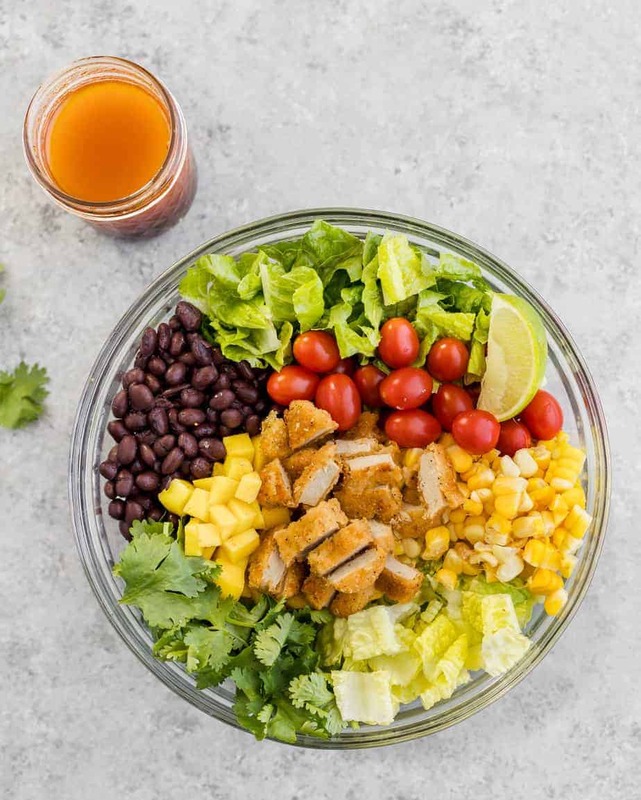 Place all the fresh salad ingredients in a big salad mixing bowl, serve with Chipotle Salad Dressing and Gardein Crispy Tenders.